Join us this Sunday for an inspirational time of worship led by our Chalice Ringers. 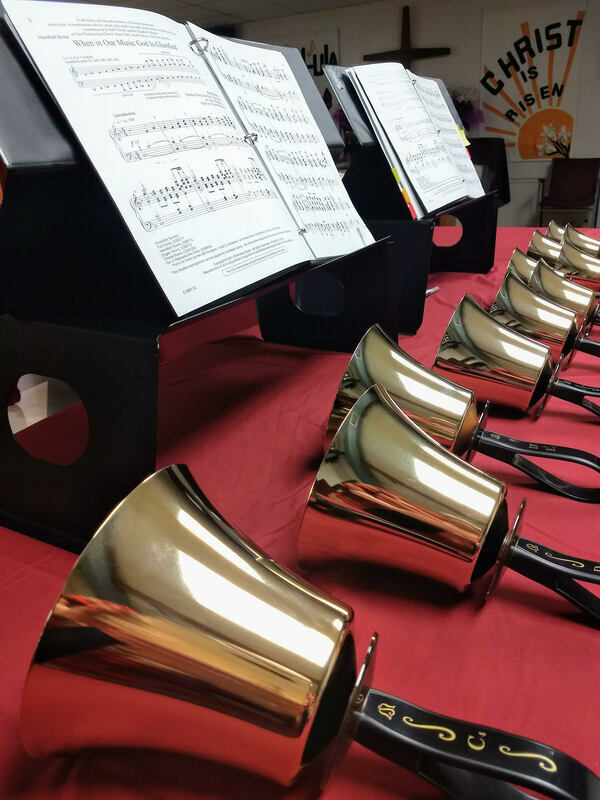 Our new third octave of bells will be dedicated. ​Sermon: "After Resurrection, What's Next?" Resurrection is about new life. For virtually everyone, even those who don't believe, resurrection is understood to have to do with "life after death." What many people, even those who totally believe, overlook or ignore the reality that resurrection also has to do with life right here and now. Christians are "Easter people"--people of the resurrection. Sunday's sermon will address the question of living resurrection every day. We also will be dedicating our new third octave of handbells. Music will dominate the worship this Sunday! Disclaimer: all images displayed on this website are either produced on site by our church members or staff, or are taken from public domain web searches. To our knowledge, none are restricted in any way. If you have knowledge of any copyrighted image displayed herein, please notify the church at the phone number or email address posted, and we will remove it or will submit appropriate royalties.